Bilirubin, responsible for the yellowish tinge in the skin, eyes and nails of jaundice patients, has for the first time been identified in plants. 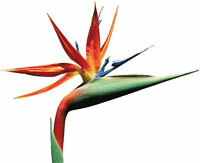 The pigment was discovered in Strelitzia reginae Aiton, commonly know as the Bird of Paradise plant. It is indigenous to South Africa and known for its orange and blue inflorescence. Researchers used liquid chromatography and nuclear magnetic resonance to detect bilirubin in the plant’s fruits. They contain unusual, orange-coloured furry seeds; bilirubin is the colouring agent. The pigment is also present in two closely related species of Bird of Paradise and will shed light on the evolution of the plants. Researchers have found evidence of a new class of black hole. Till date, identified black holes were either supermassive, several million to billion times the mass of the sun or between three and 20 times. Using a large telescope, scientists studied the images of the ultra-luminous X-ray source with highest intensity, HLX-1, which lies close to the edge of the galaxy ESO 234-49. They said the data on distance and the brightness of the source shows that it may contain a medium-sized black hole, some 300 million light years from Earth. If confirmed, HLX-1 would be the first intermediate-type black hole in the galaxy, 500 times the sun’s mass. 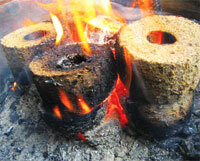 Biochar, produced when biomass is burned, can be used to increase resistance against fungal infections in plants. Scientists have shown how biochar helps sequester carbon from the atmosphere. It also helps improve soil tilth, nutrient retention and crop productivity. Now, the scientists say biochar induces resistance in plants against pathogens Botrytis cinerea (grey mould) and Leveillula taurica (powdery mildew) in pepper and tomato. It also protects pepper from broad mite pest. One to five per cent of biochar in soil is effective in suppressing diseases in leaves of both the plants. 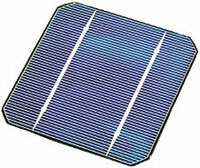 Combining elements otherwise difficult to alloy can yield high efficiency solar cells. These solar cells will be more productive as multiple elements together can capture a greater portion of electromagnetic radiation in the sunlight and produce more energy. These alloys are combinations of elements that do not mix when conventional crystal growth techniques are used. New mixing techniques like molecular beam epitaxy can help combine these disparate elements. Molecular beam epitaxy helps in depositing single crystals at high vacuum. Levels of cortisol hormone in hair can predict when a person is likely to suffer a heart attack. The hormone content in the body is a known predictor of heart attack; its secretion increases during stress. Cortisol is usually measured in serum, urine and saliva, but in them it indicates stress level on ly at the time of test. A hair strand, on the other hand, keeps a record of cortisol levels over a longer period. The hair grows by a centimetre each month, so a six-centimetre strand will show cortisol levels of six months. Using computer models scientists have explained how fractures that fail to heal can be treated. They studied many methods. First they tried vasculature— improving blood supply to the affected area. Then they studied the body’s growth factors using naturally occurring substances, like hormones, for stimulating cellular growth. Next was cell proliferation— increasing cell numbers by cell division. 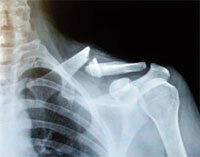 It showed transplantation of cells from bone marrow to the fracture site helps. It was later tested on an animal and it worked. PLoS Computational Biology, September 2. Biologists have found the reason for aneuploidy, abnormal number of chromosomes during cell division in eggs of aged women. In such eggs, th-ere are re-duced levels of a protein needed for chromosomal segregation. These proteins mark the site where a chromosome pair will split. In aged cells, they are farther apart. About 90 per cent of aneuplpoidy can be explained by it. Tracing the source of CFC in the air could be possible. The ratio of isotopes of chlorine in the ozone-depleting gas varies with the manufacturing process. This property can help chemically fingerprint CFC. Using mass spectrometers, scientists detailed the ratios of different isotopes of chlorine atoms present in small concentrations in the air. Such information could identify sources of CFC, which is banned in 200 countries. 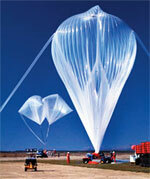 This is the first time chlorine isotopes in ozone depleting gases have been measured. It may now be easy to predict when hurricanes like Igor will pass over oceans. The colour of the ocean can help predict the path of tropical cyclones, which in turn depends on the number of marine species. More hurricanes form in greener waters where there are more marine species to absorb sunlight, than in clear seas where the lower depths are heated. 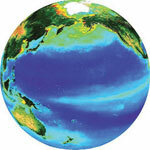 Researchers re-created the effects of ocean colour on the cyclones in northwestern Pacific by depleting the phytoplankton using a computer model. It resulted in 70 per cent decrease in cyclones at subtropics and a 20 per cent increase at equator, the model showed. Scientists have for the first time created high-resolution maps showing carbon locked in the forests of Peruvian Amazon, using satellite mapping, airbornelaser technology and ground-based surveys. They found that the total regional carbon storage was about 435 million tonnes and emissions reached a level of 69,445 tonnes per year. Paving of the interoceanic highway increased deforestation emissions by more than 61 per cent, while degradation emissions doubled between 1999 and 2009, they noted.